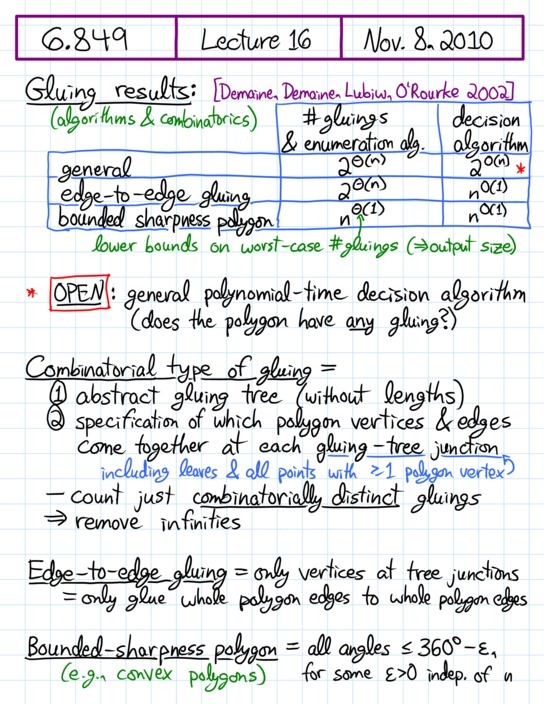 [+] Polyhedron folding: Combinatorial type of gluing, exponential upper and lower bounds for combinatorially distinct gluings, polynomial upper bound for polygons of bounded sharpness, dynamic program for edge-to-edge gluing, including polynomial-time decision, exponential-time dynamic program for general gluing; case studies of Latin cross, equilateral triangle, and square. 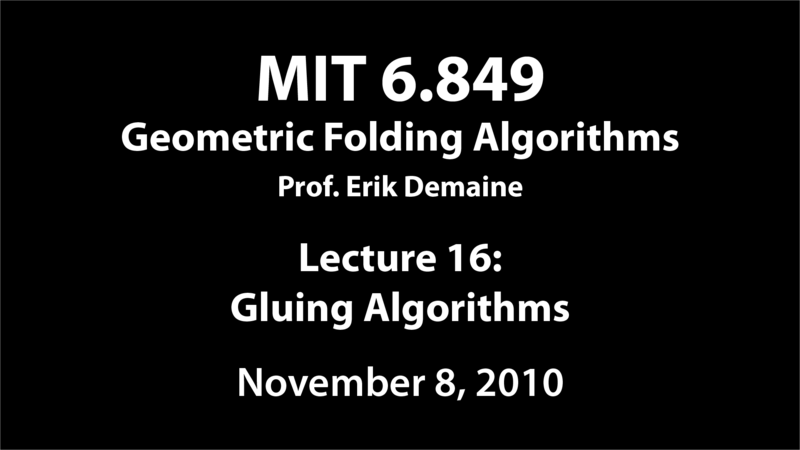 This lecture continues our discussion of gluing polygons up and folding them into convex polyhedra, namely, via Alexandrov gluings. 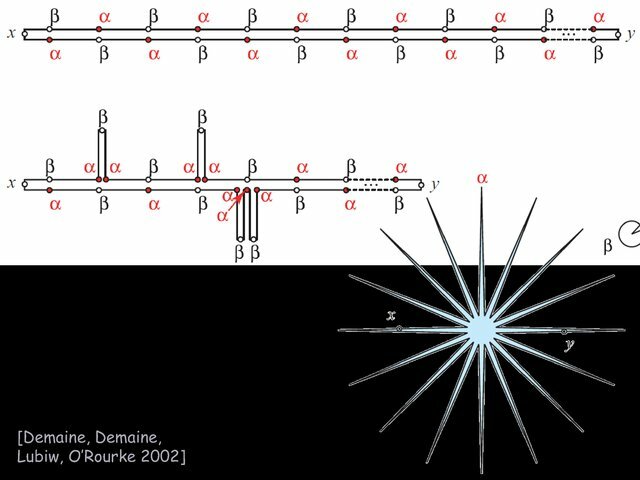 Now we'll see algorithms to actually find Alexandrov gluings, as well as give good bounds on how many there can be. Then I'll describe a few case studies: the Latin cross, the equilateral triangle, and the square.